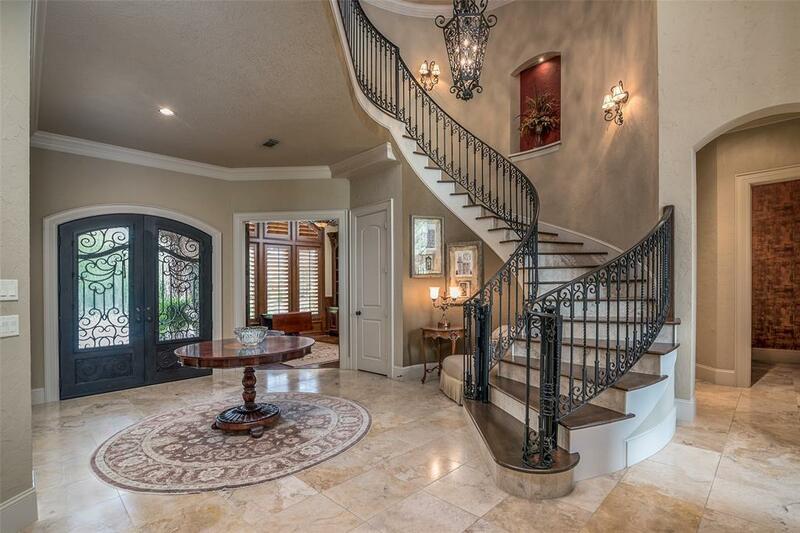 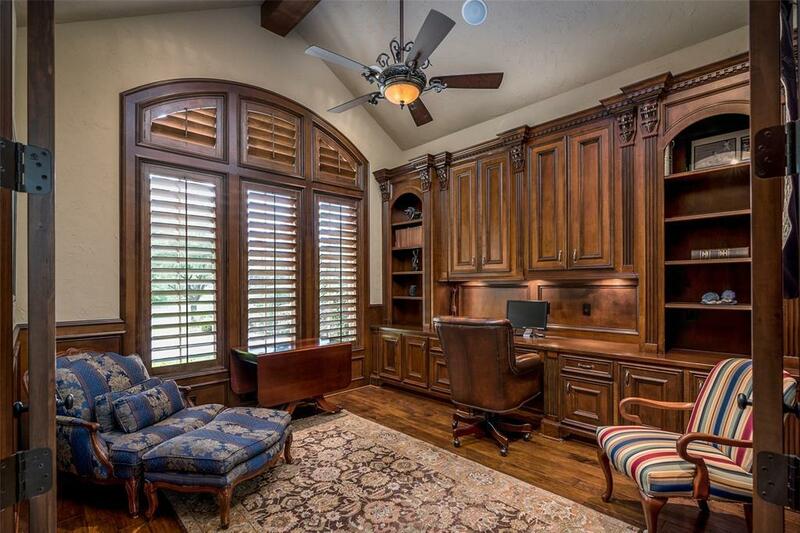 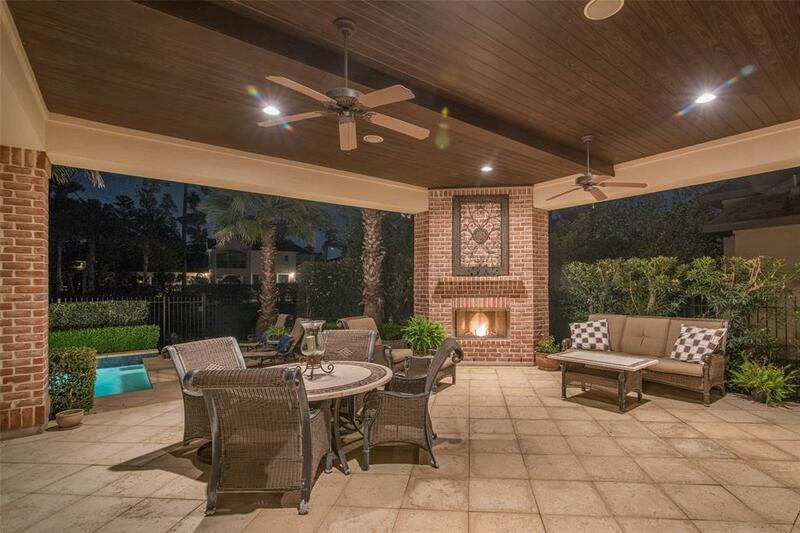 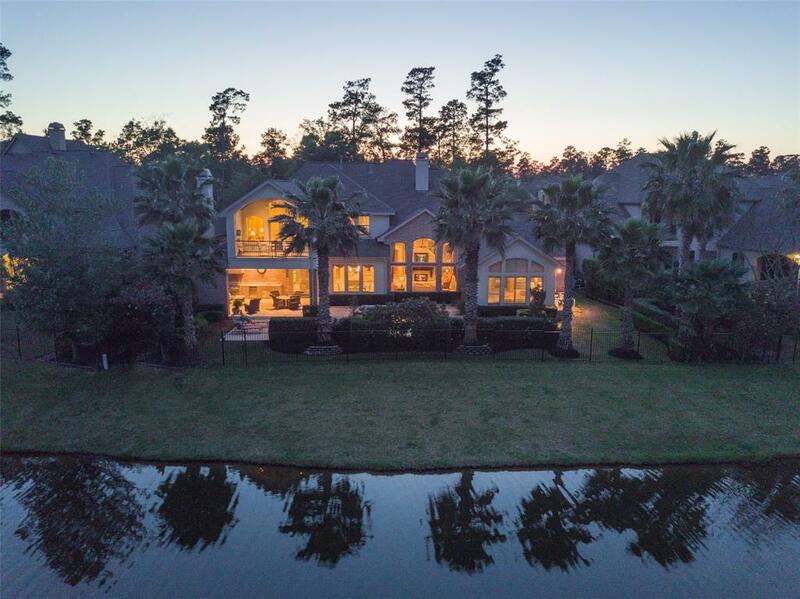 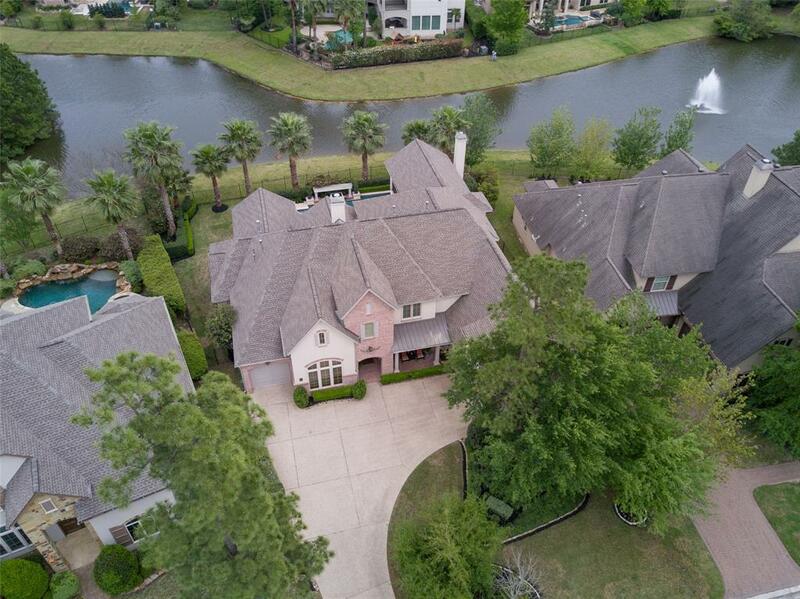 Beautiful George Weaver Custom home w/exceptional backyard waterfront views will be top of your list to see! 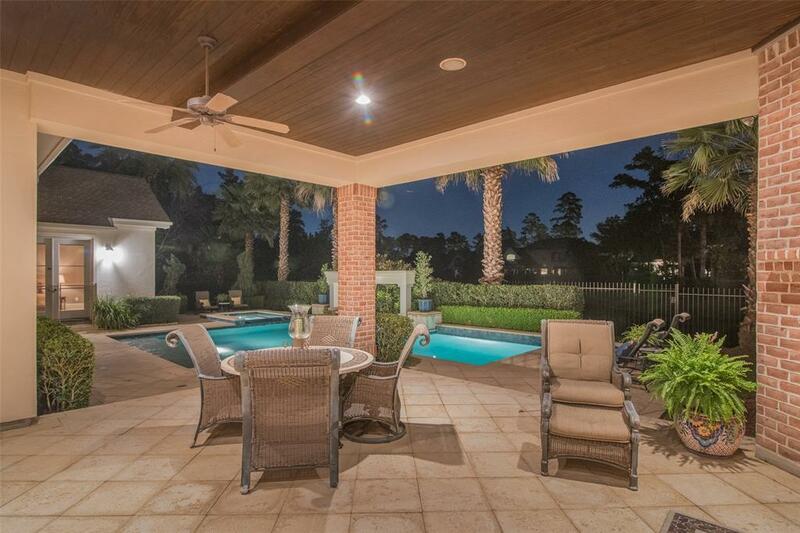 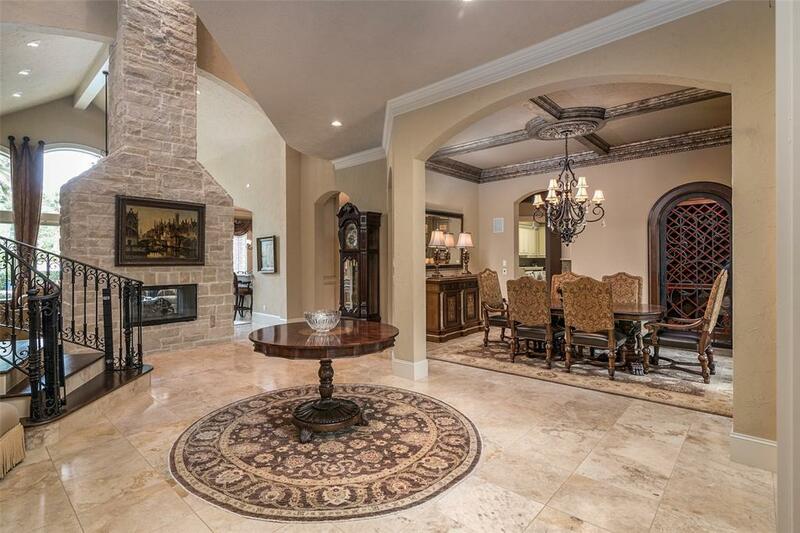 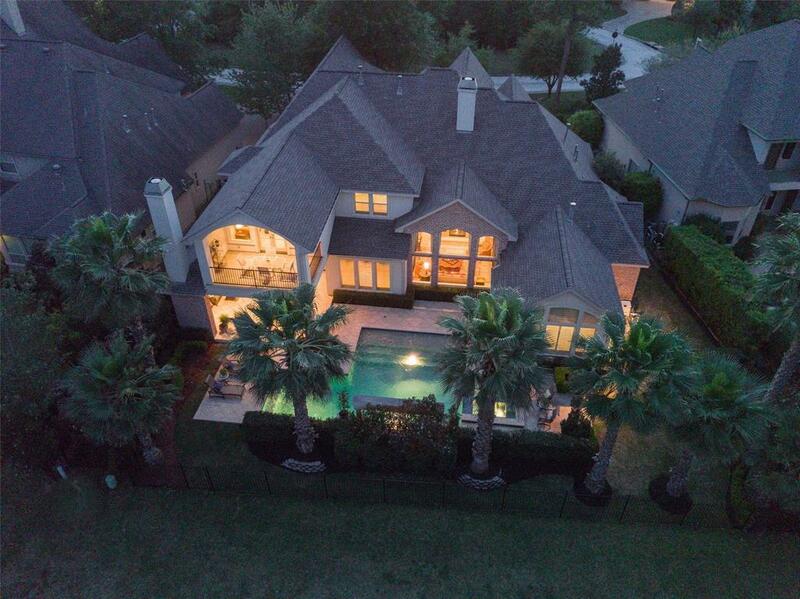 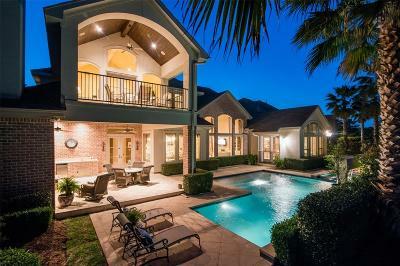 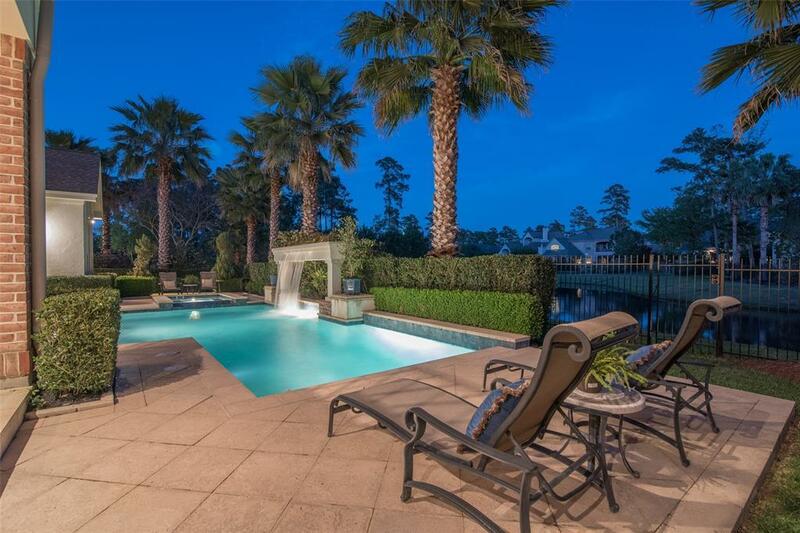 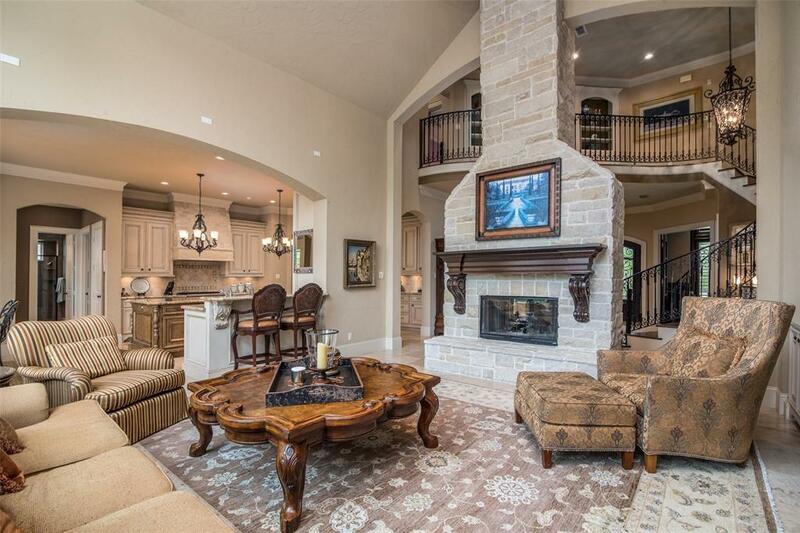 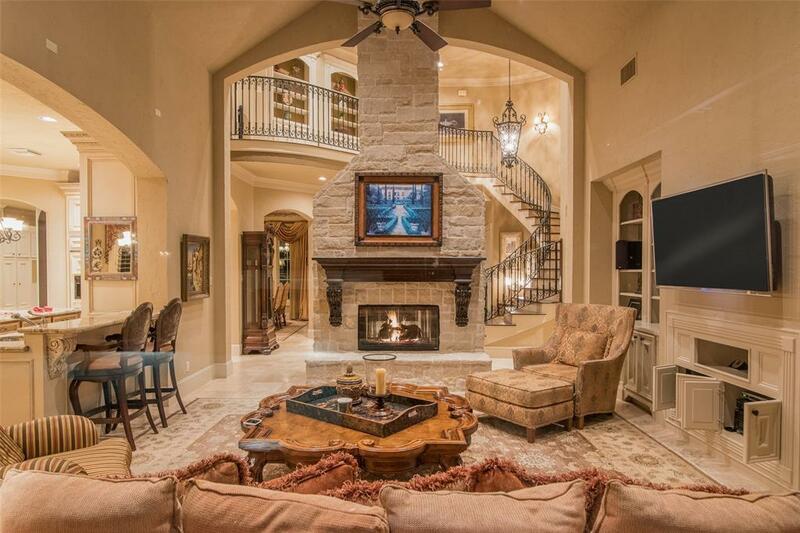 This retreat-style property showcases an inviting custom pool/spa by Texas Pools. 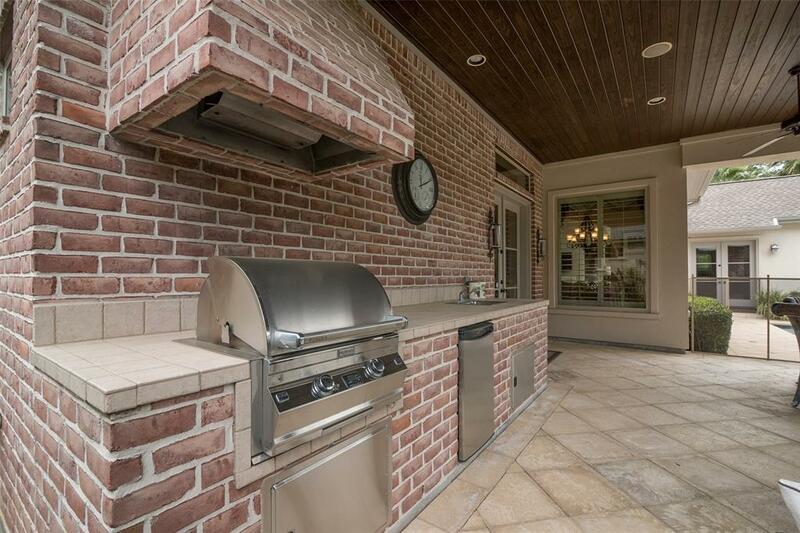 The summer kitchen w/grill, wet sink, & mini-fridge is ideal for year-round entertainment. 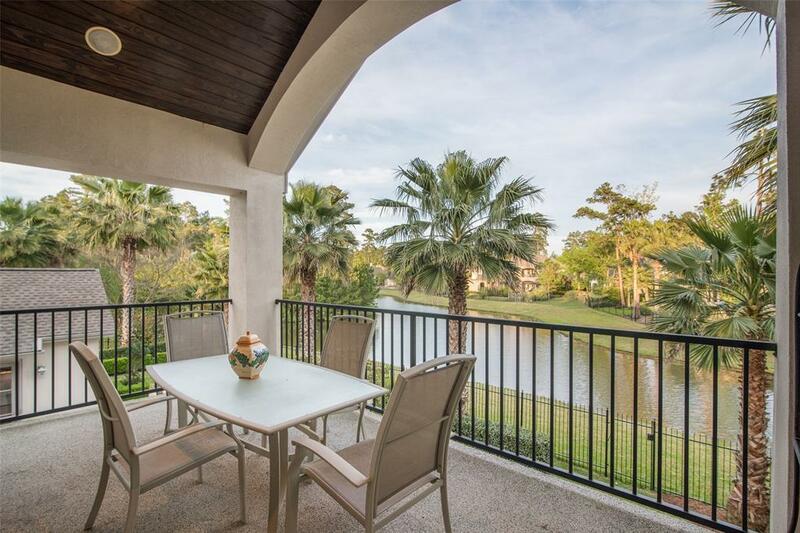 Relaxing water views from almost every room! 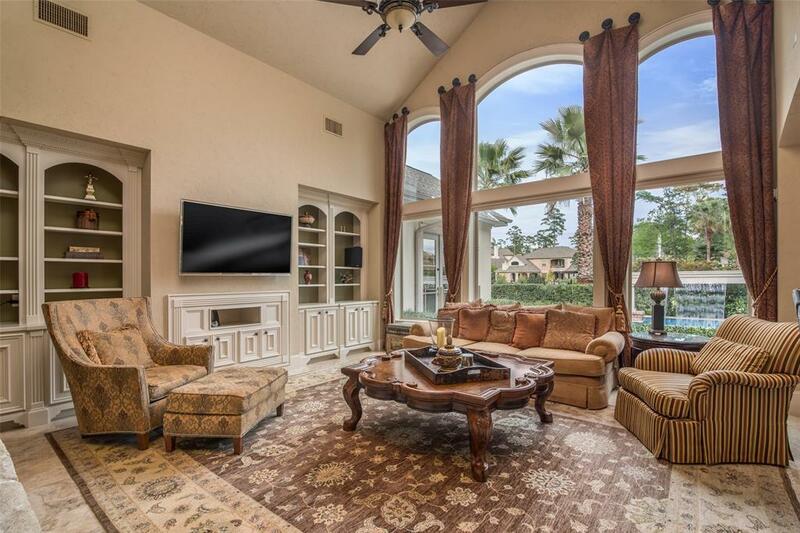 Enjoy listening to music & watching movies inside & out with well-placed audio & speakers. 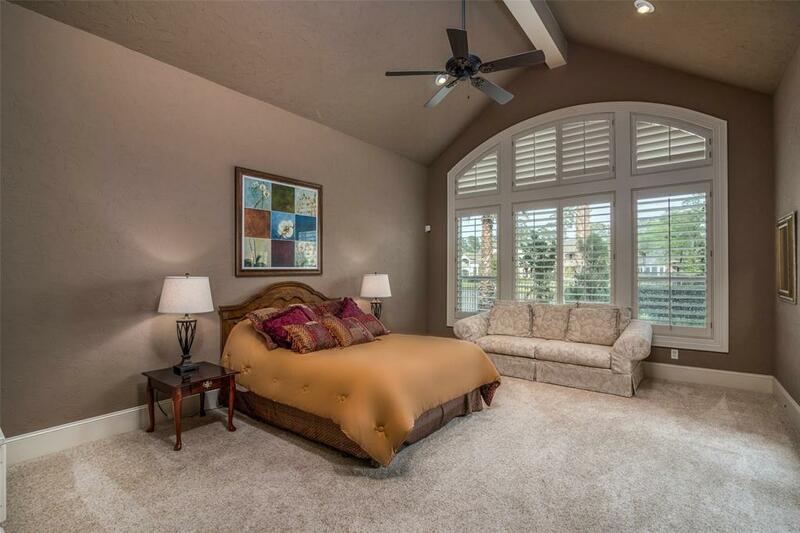 Both formals enjoy a dual-sided fireplace as does the master bedroom & bath. 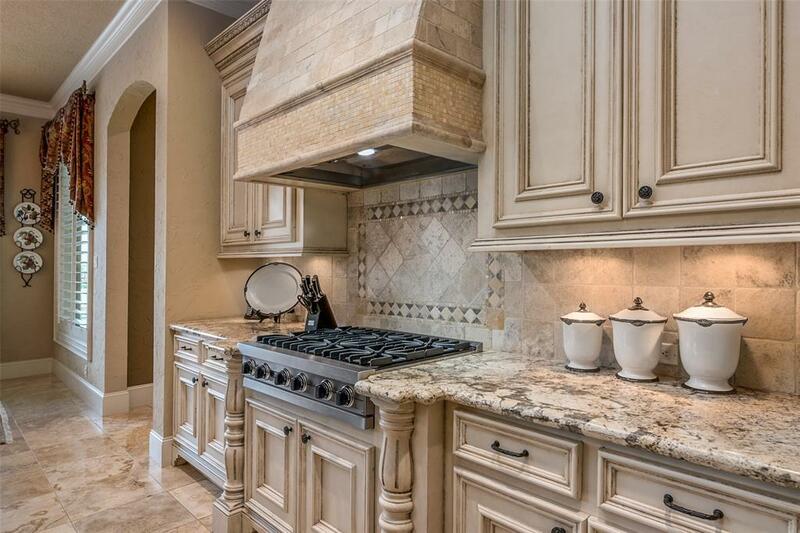 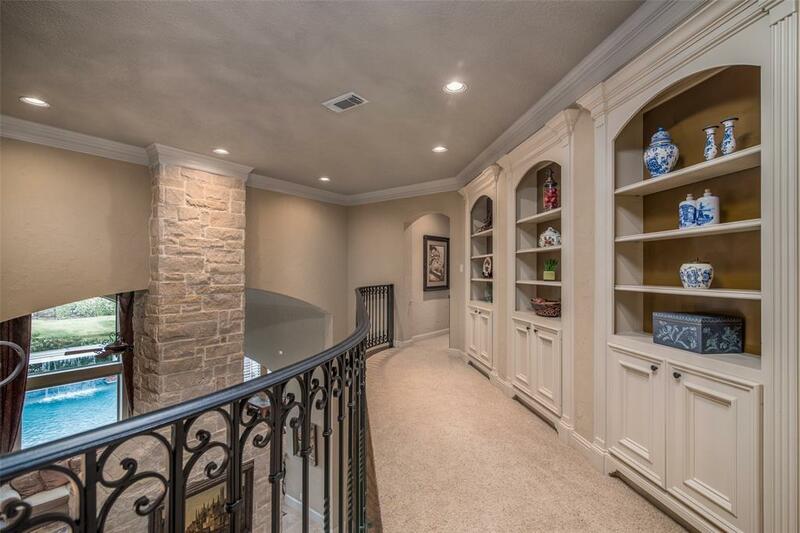 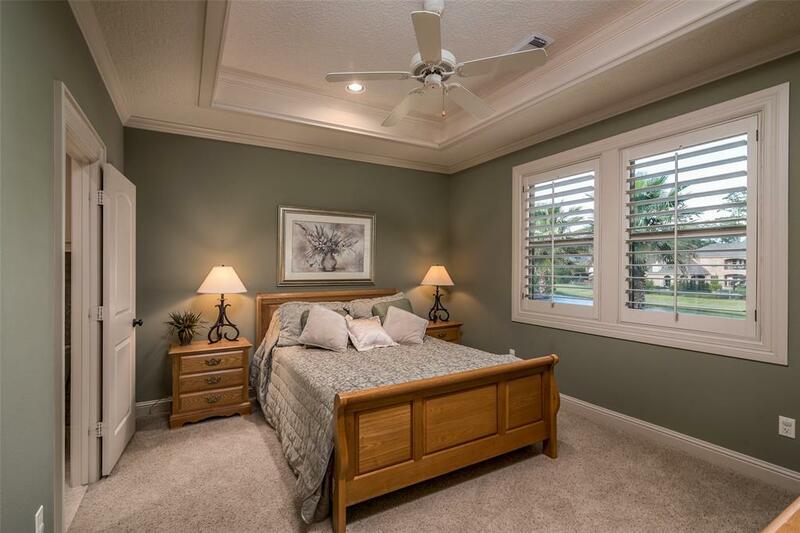 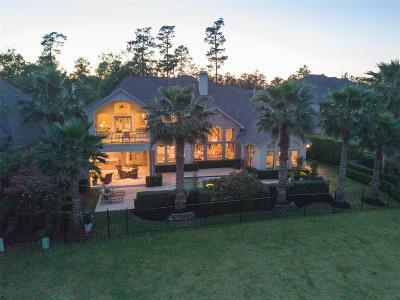 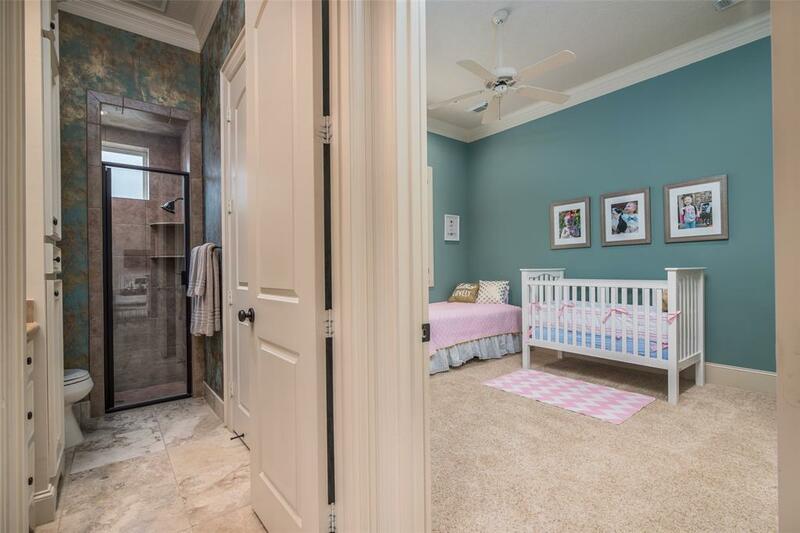 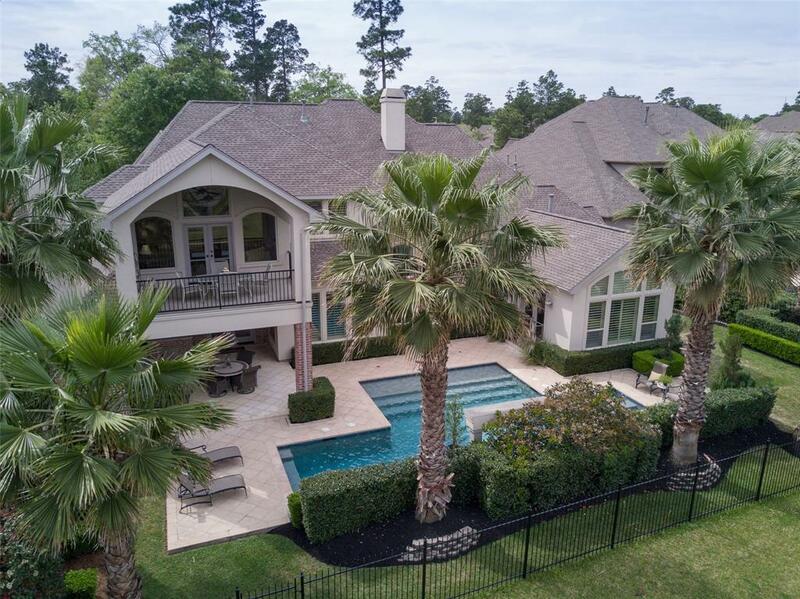 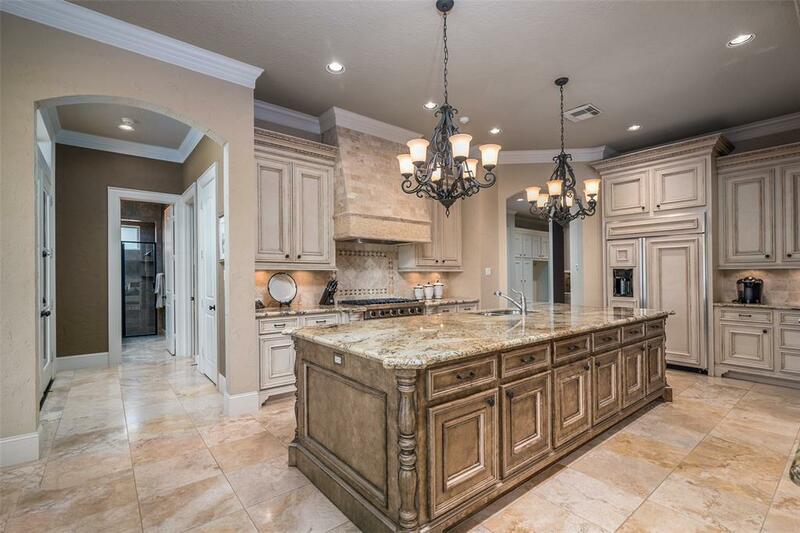 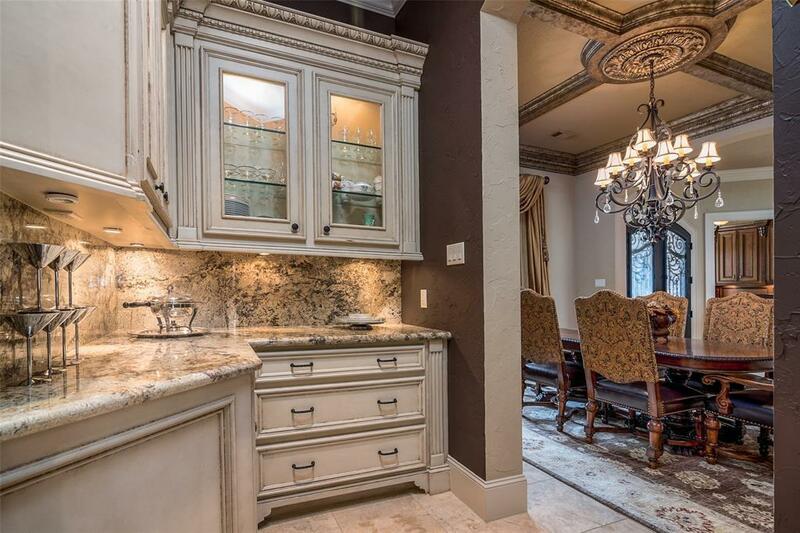 Custom moldings, shutters & lighting, Chefs kitchen w/large working island, Viking appliances, & abundant storage; downstairs guest room has private access to the full pool bath. 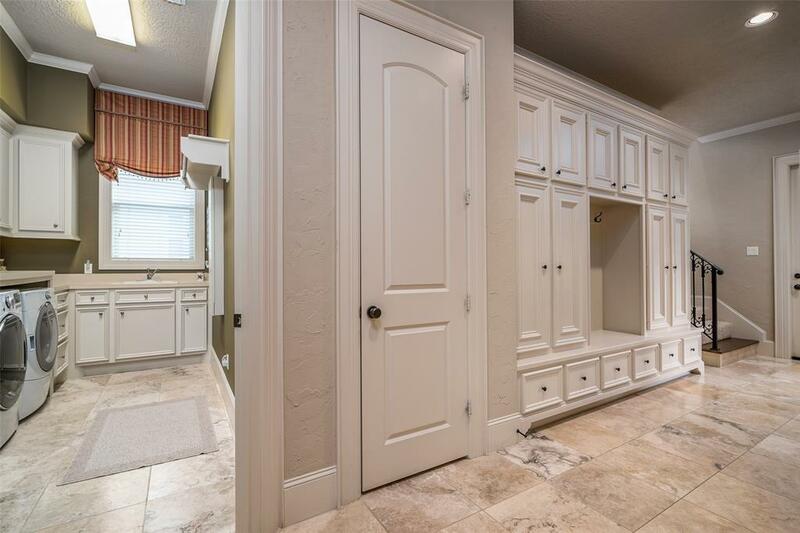 Fantastic organizational station, MUD & utility rooms! 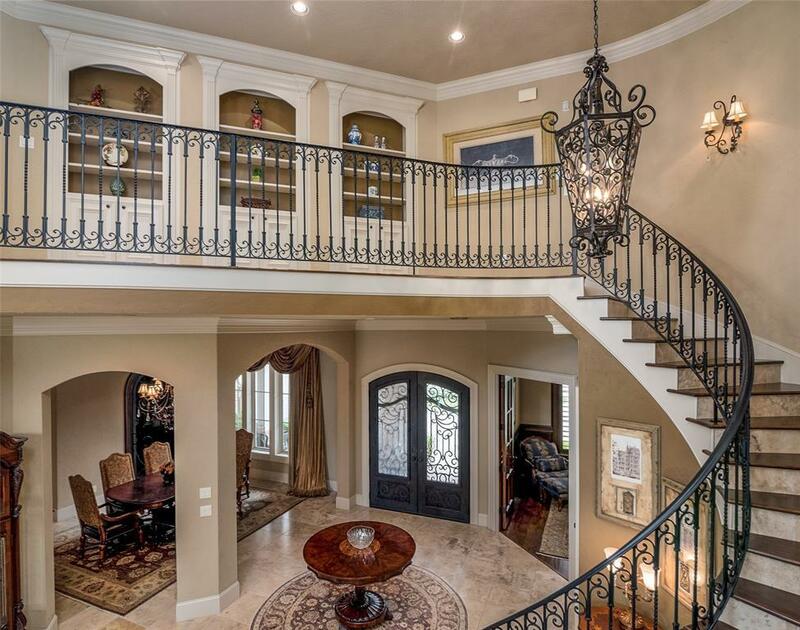 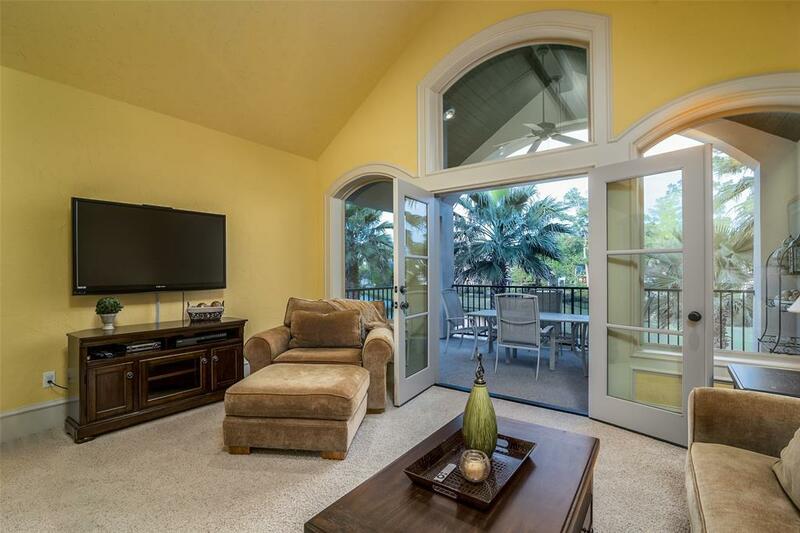 Upstairs a large game-room opens to the spacious balcony overlooking the lake. 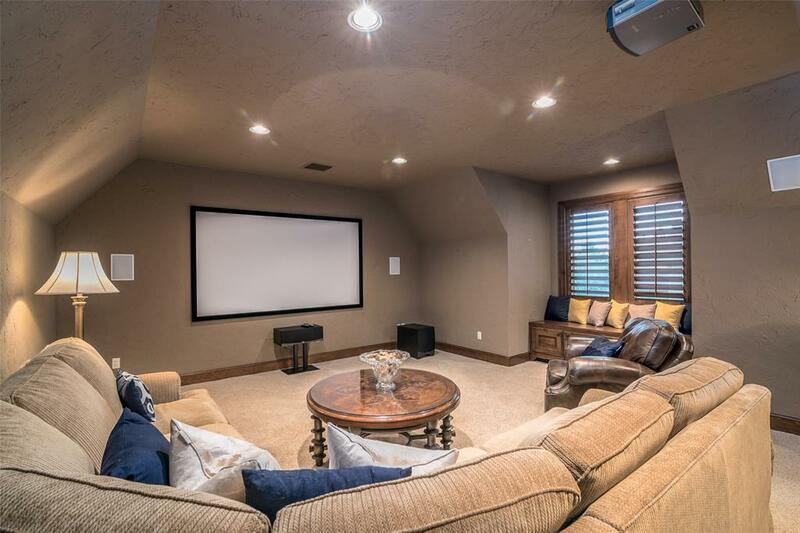 Media-room easily converts to a 6th bedroom or can be used for a family or music room. 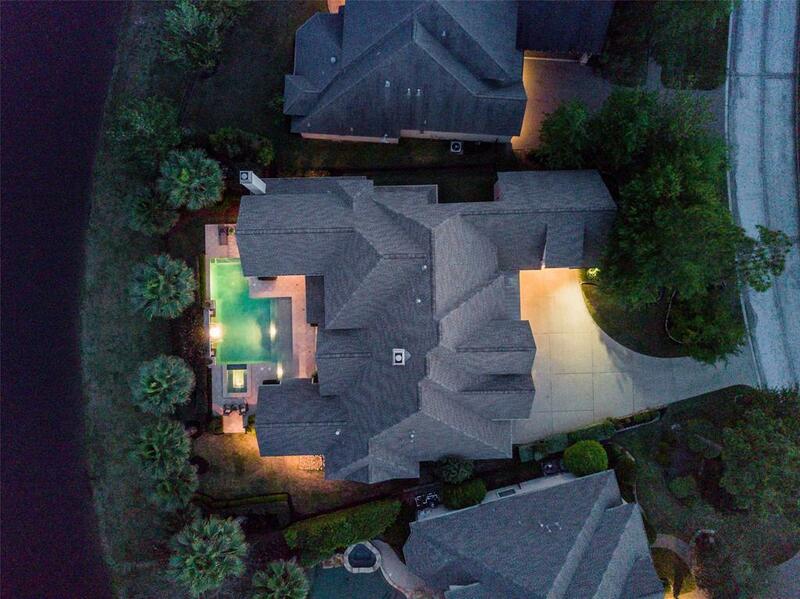 Roof 2015! 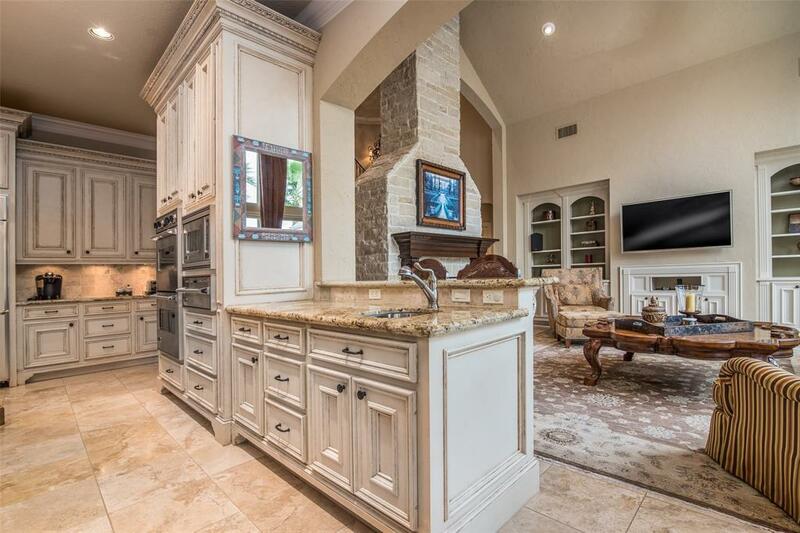 2 New hot water tanks. Many recent updates, see upgrades & features list for more info. 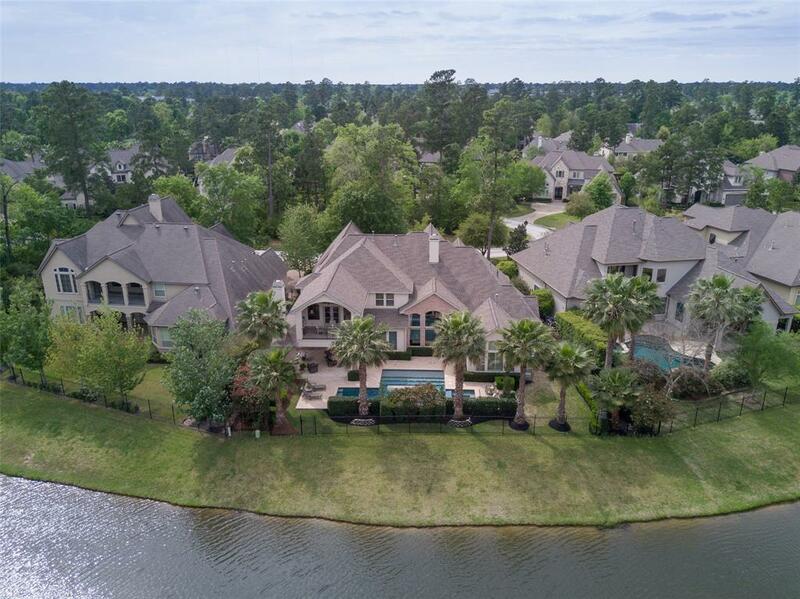 Directions: Woodlands Parkway, Right On Player Woods, Left On Player Bend, Right On Pendleton Park And Home Is On The Right.